Alaska has much to look forward to with regard to its energy potential: The Donlin and Pebble mines. The Arctic National Wildlife Refuge. Other outer continental shelf lease areas. Cook Inlet. If we utilize these areas’ resources to grow the economy, a stronger, more prosperous Alaska is in sight. These projects represent thousands of jobs and hundreds of millions of dollars of tax and royalty revenue to the state of Alaska. With President Donald Trump’s and Gov. Mike Dunleavy’s leadership, along with a business-centric Legislature and key Alaskans in Washington D.C., we can move these projects forward in a responsible manner. We can develop Alaska’s resources in an environmentally conscious way, protecting the beauty of the state and the key recreational and subsistence areas that Alaskans use throughout the year. But there’s one something that can derail this progress - over-zealous, short-sighted, Outside groups that claim to speak for Alaska and its people, but whose mission statements don’t align with reality. 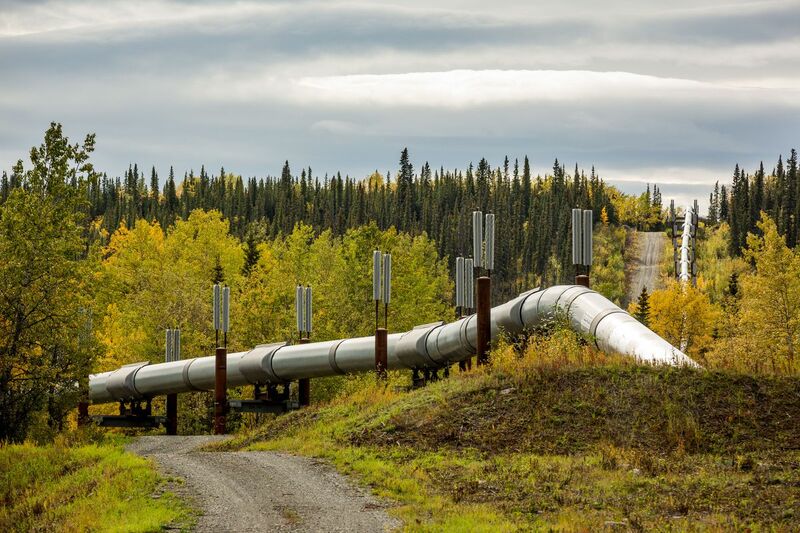 The environmental movement wants to stop these projects in their tracks and stifle Alaska’s economy. Known for pushing the defeated “Stand for Salmon” ballot measure, anti-development legislation and meaningless protests against all things associated with the oil, gas, mining and timber industries, these environmental groups are willing to use every stall tactic to get their way. As the field director for Stand for Alaska, it was awesome to see Alaskans join together to defeat the Stand for Salmon group and reject Outside interests from pushing their agenda on Alaskans. Aside from being wrong with respect to responsible development, the radical environmental groups are also notable for their hypocrisy. They type their anti-development missives from iPhones charged by fossil fuels. They demand more government services and rail against ruining Alaska’s beauty in the Arctic, but are against the industries that – even at shockingly low oil prices - make up nearly 70 percent of the unrestricted revenues of the state of Alaska. They oppose locally backed mining, no matter how small or big the project, hurting families who rely on these jobs. To the radical environmentalists, anything short of an Alaska devoid of development is a horrific sight to see. Ending existing development efforts and restricting new ones in the name of the environment is more important than the lost jobs, the stress and strain on families and the societal ills that come from job and community loss. It is a trade-off that America – and especially Alaska – needs to push back on. That’s where my organization, Power the Future, comes in. Founded last year, we aim to speak out for energy workers across America and put the spotlight on the extreme environmental movement. We’re here for the long haul, and we’re here to tell the groups that want to dim Alaska’s bright future that we’ll fight for those workers and the responsible projects that will ensure a vibrant, thriving and successful Alaska for generations to come. Rick Whitbeck is the Alaska State Director for Power the Future. An Alaskan for over 35 years, he says he enjoys the balance between stringent environmental stewardship and the ability to have a thriving resource development-driven economic base. Contact him at rwhitbeck@powerthefuture.com.